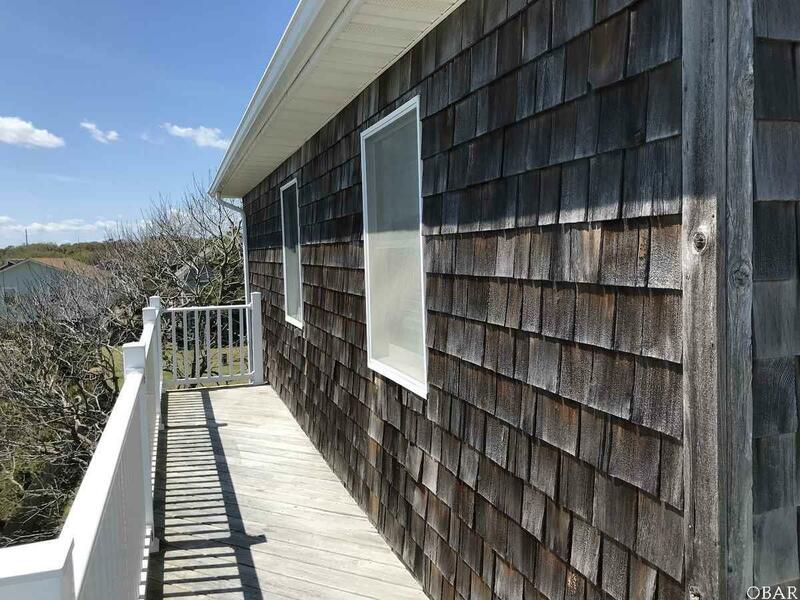 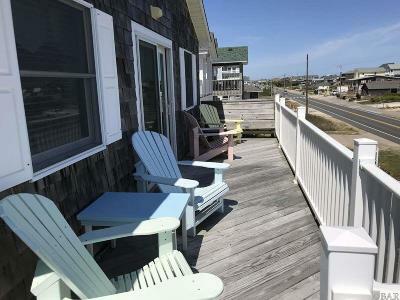 A Semi-Oceanfront that Could Be the Prototype of the Perfect Beach Cottage to Enjoy with Family and Friends. 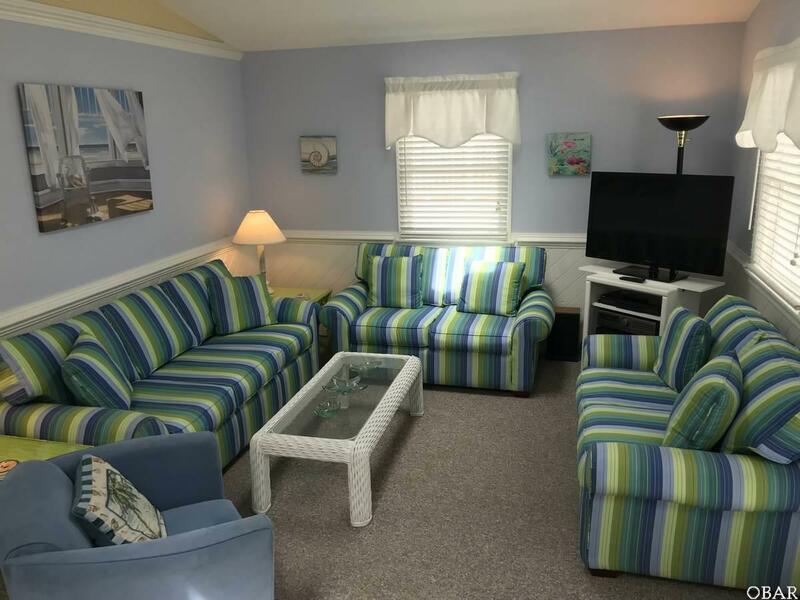 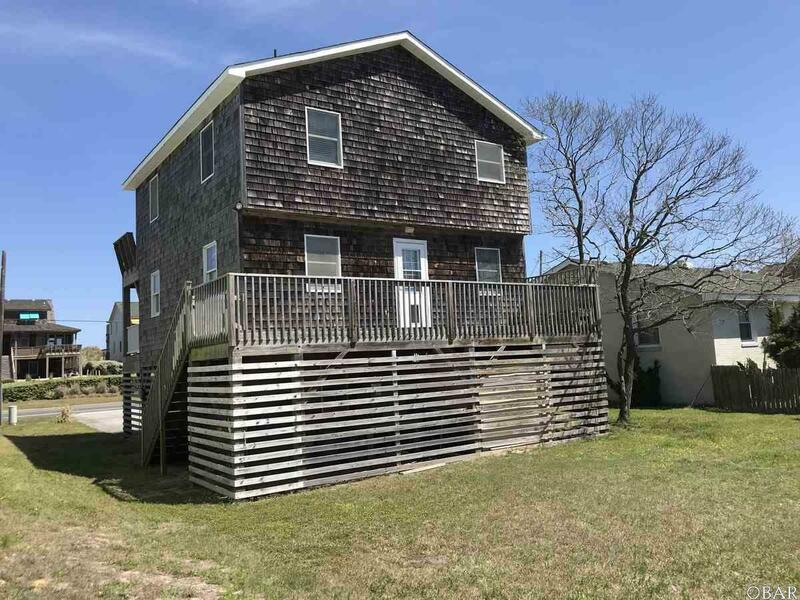 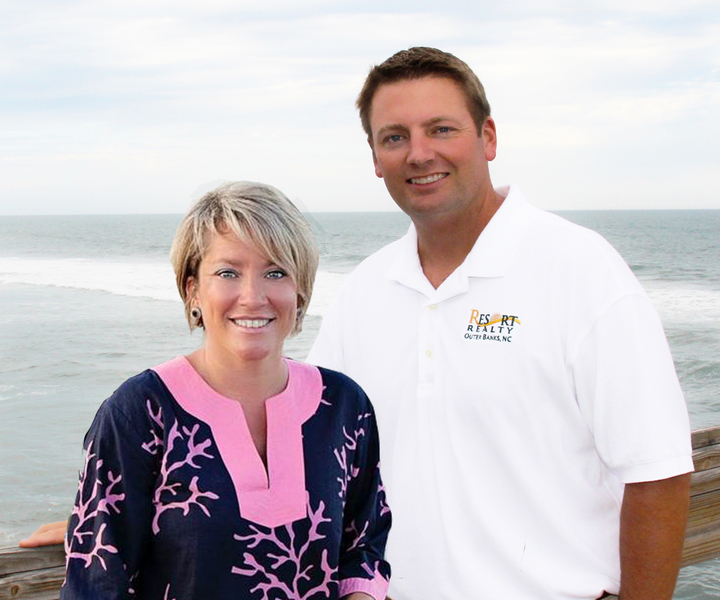 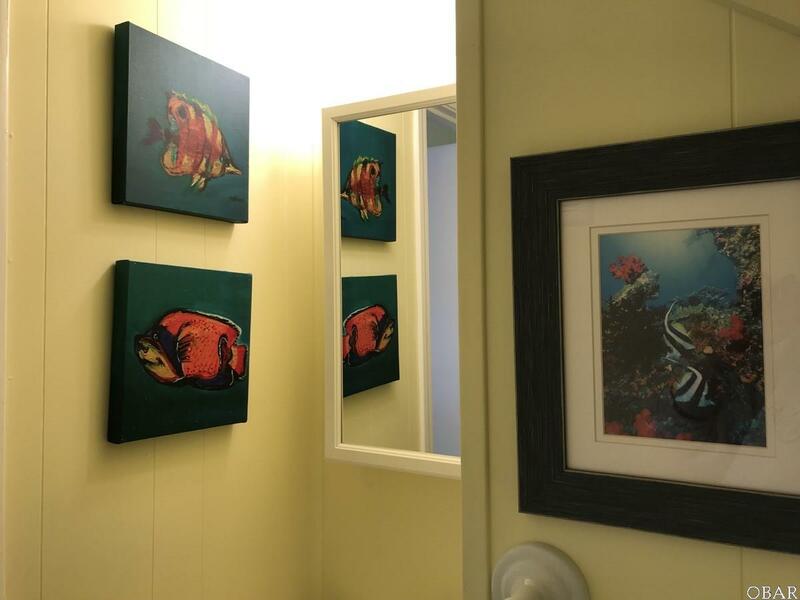 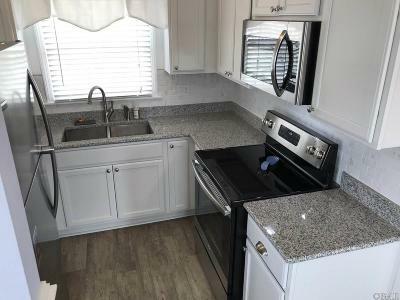 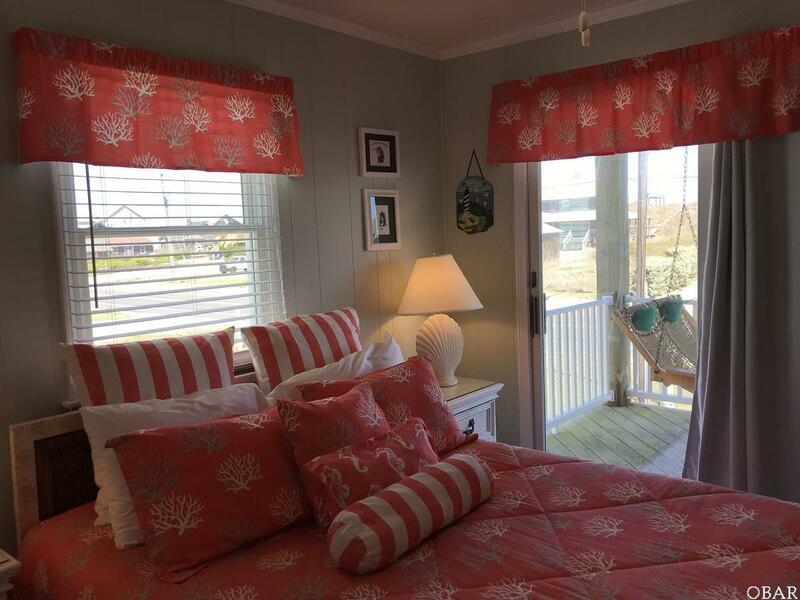 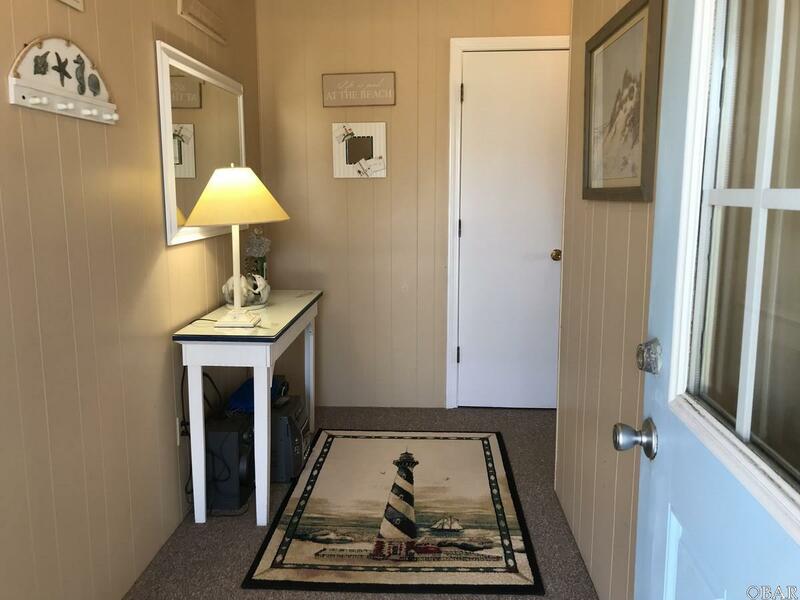 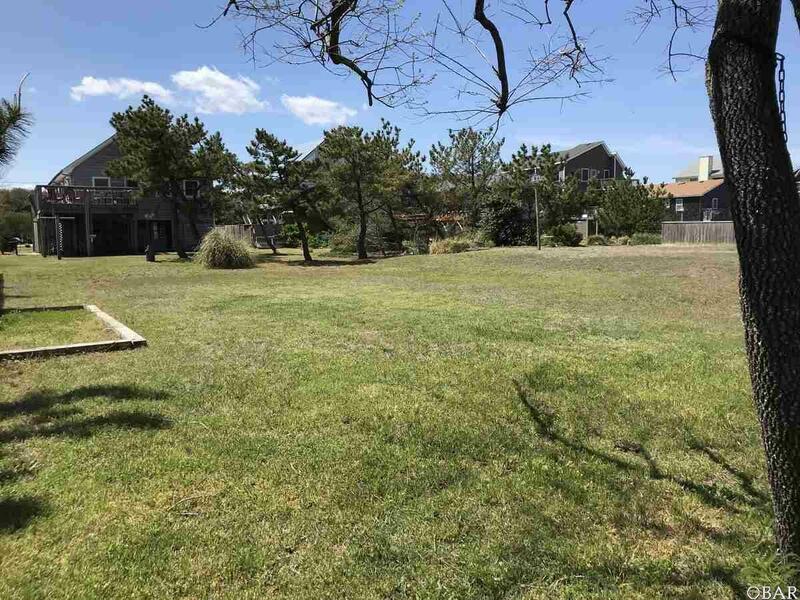 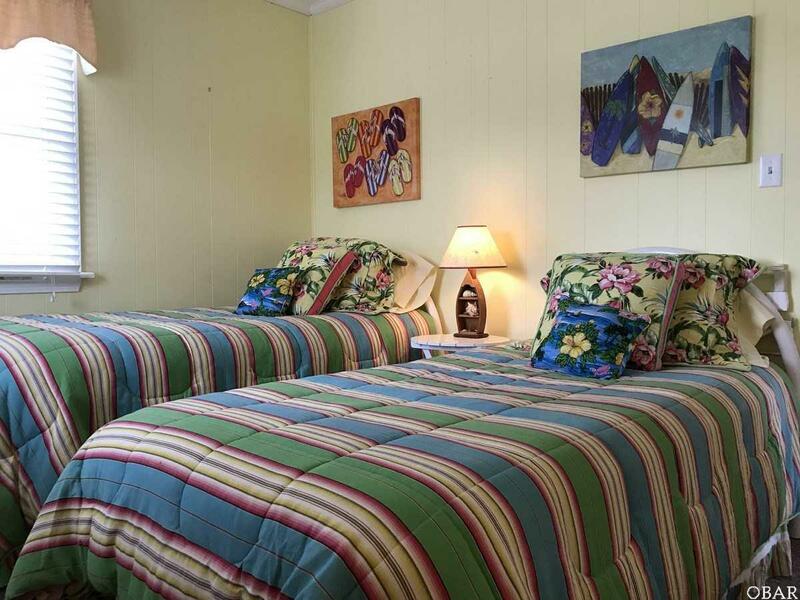 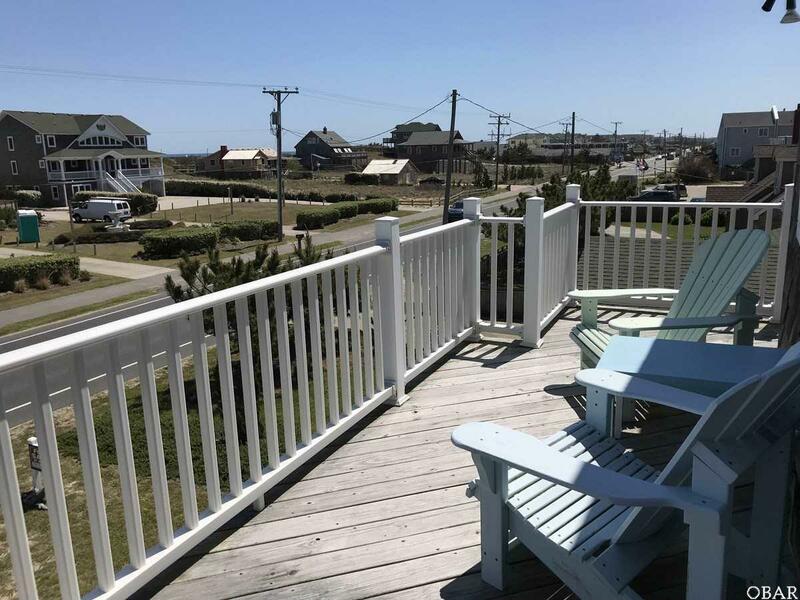 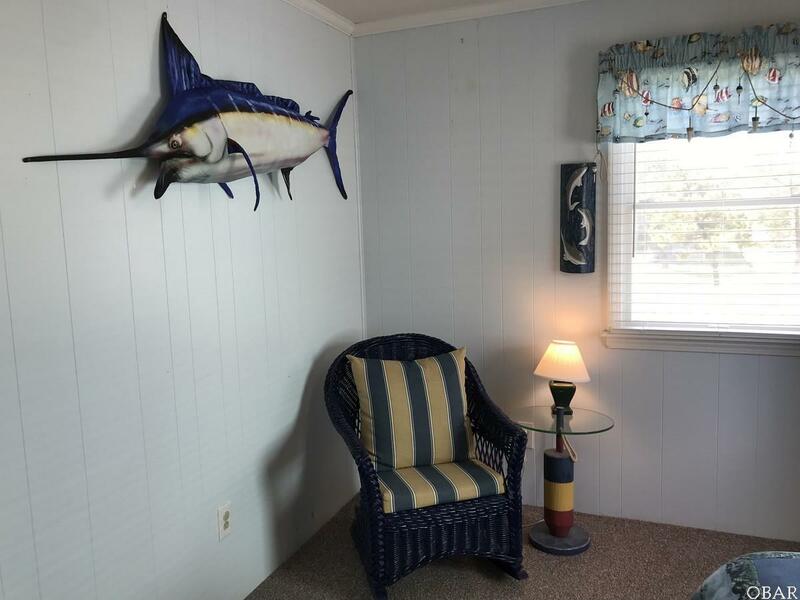 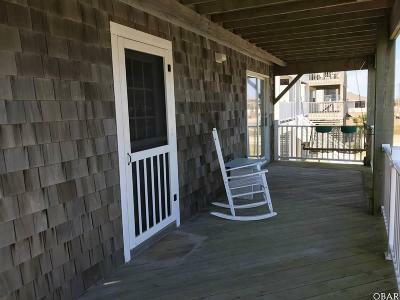 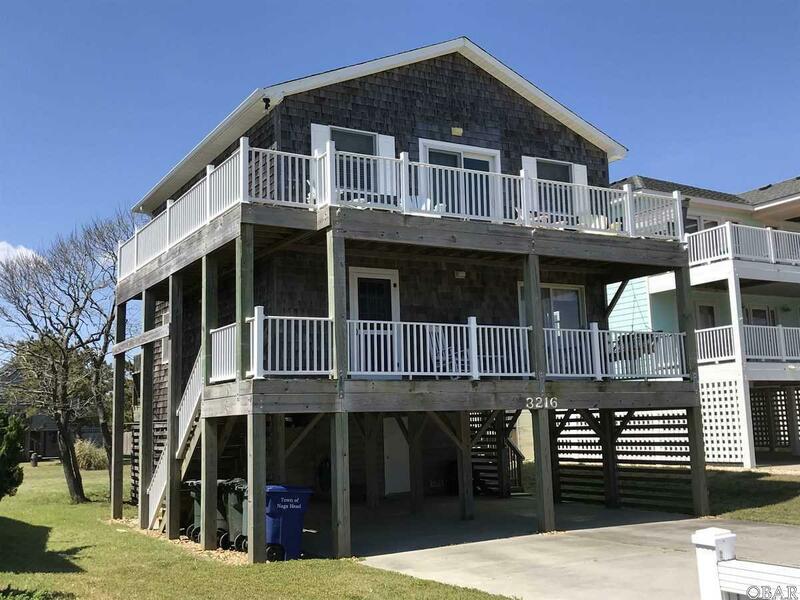 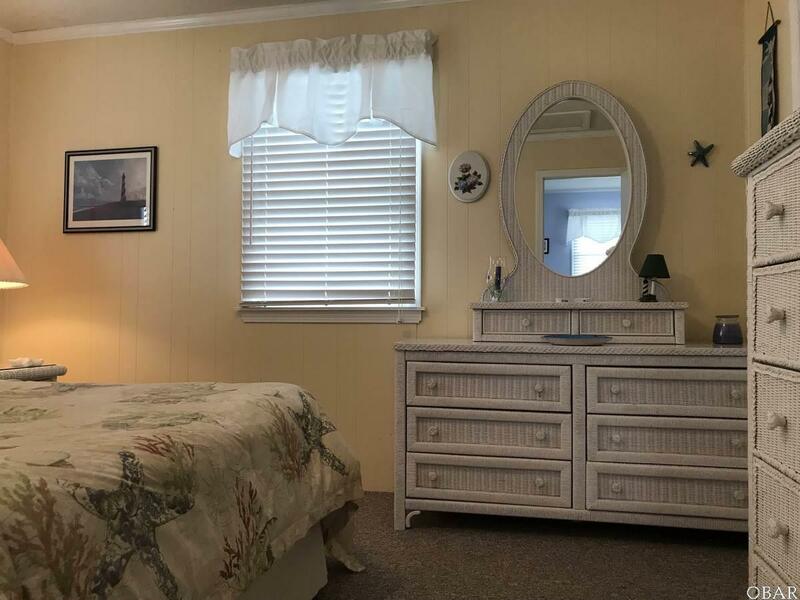 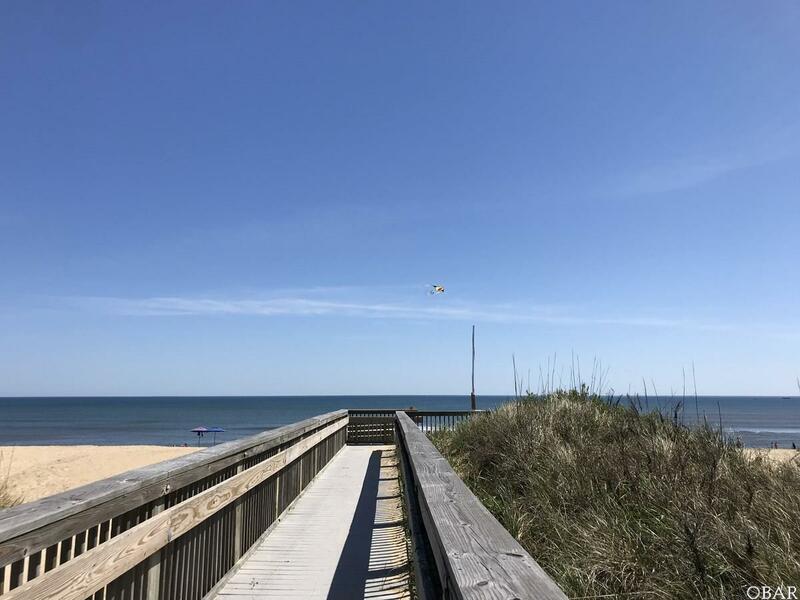 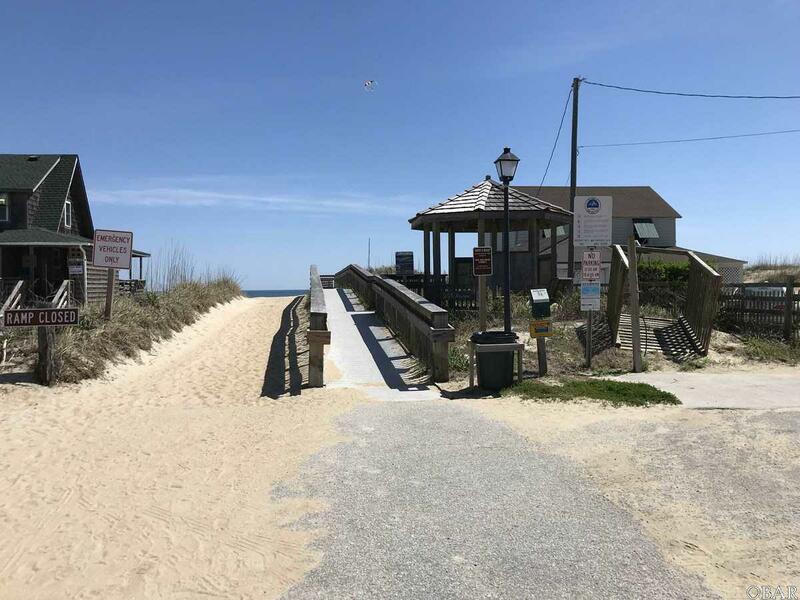 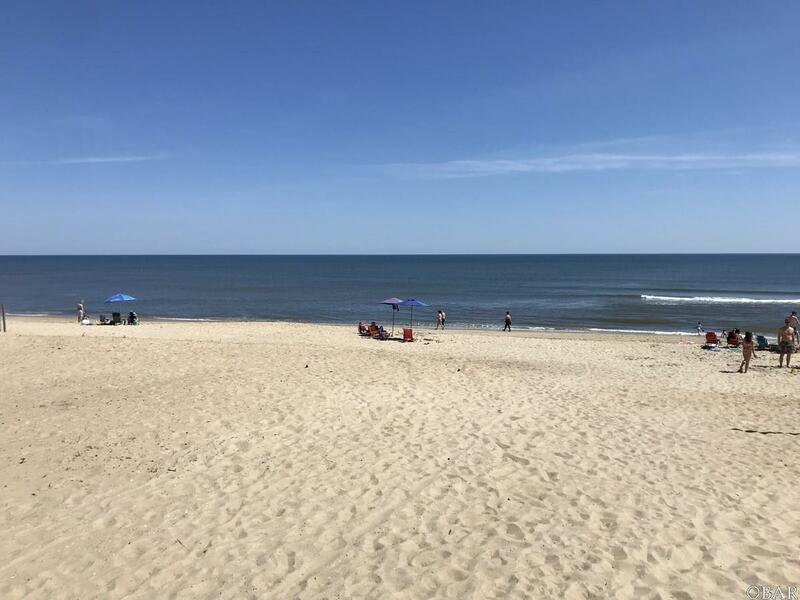 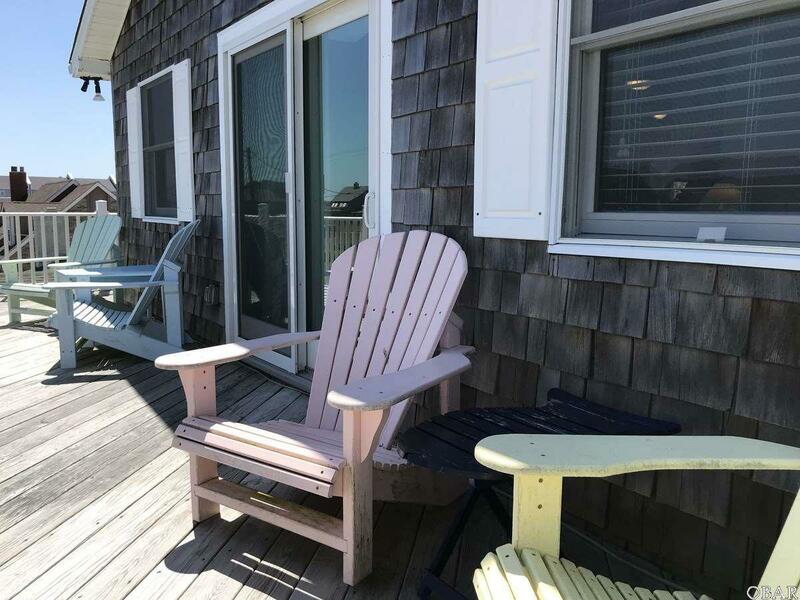 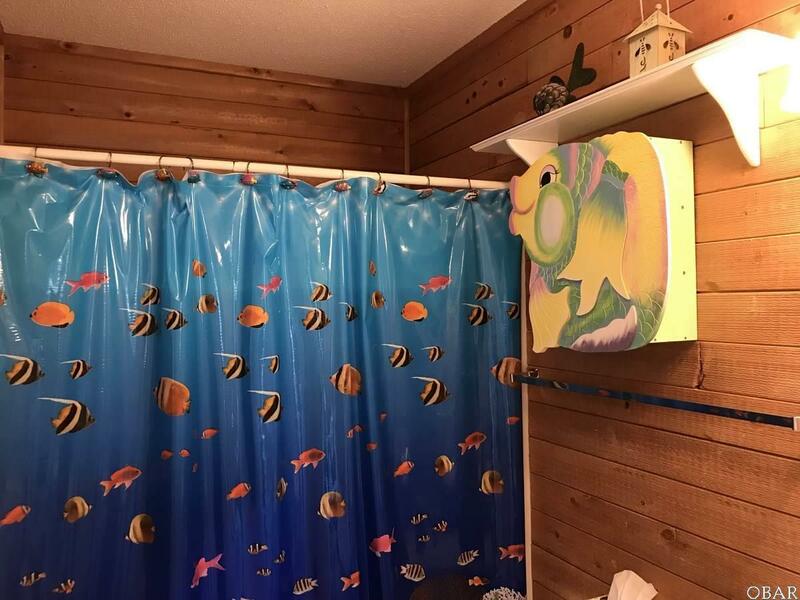 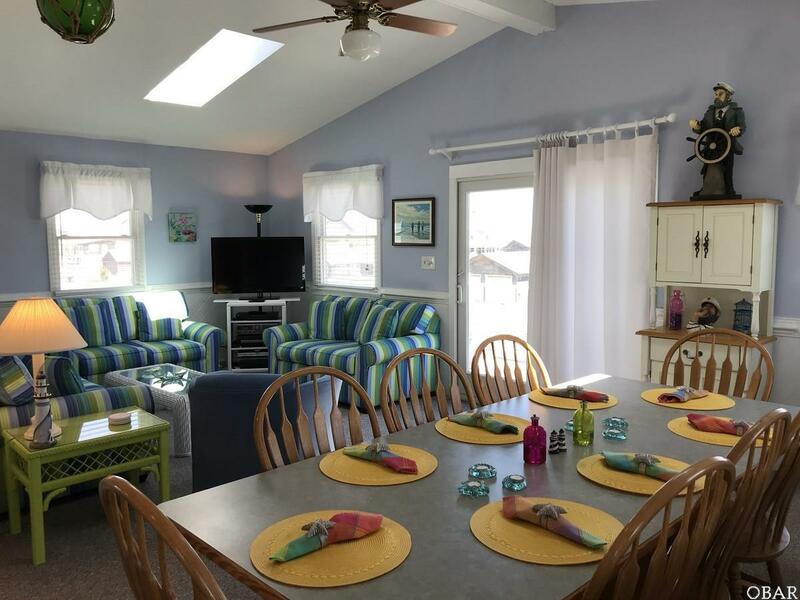 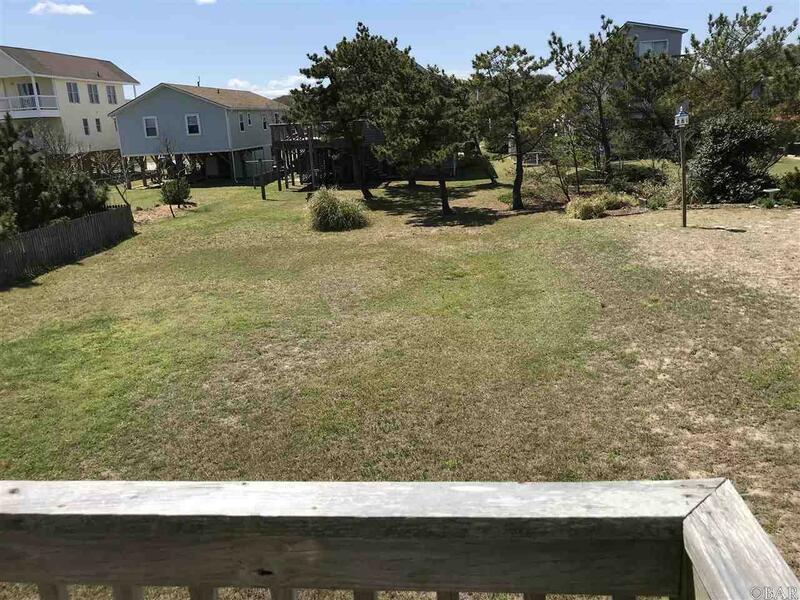 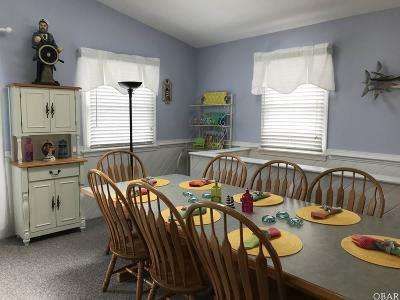 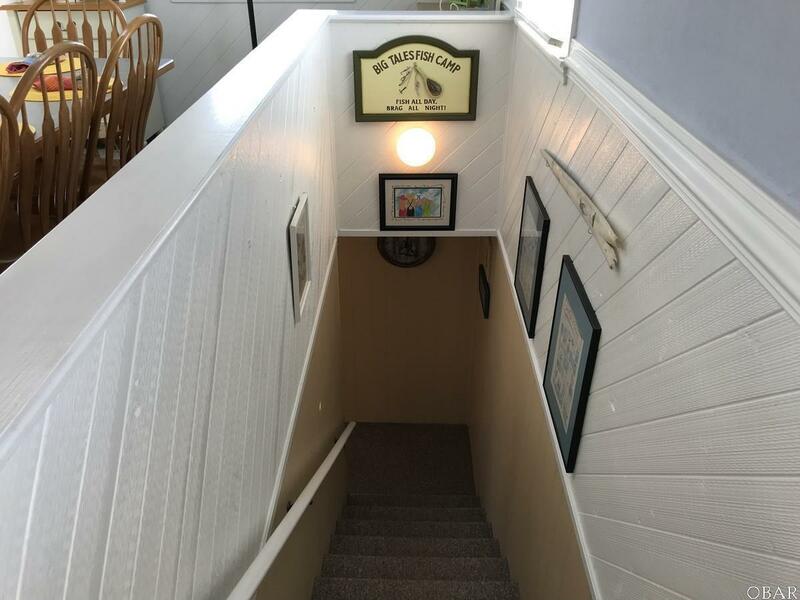 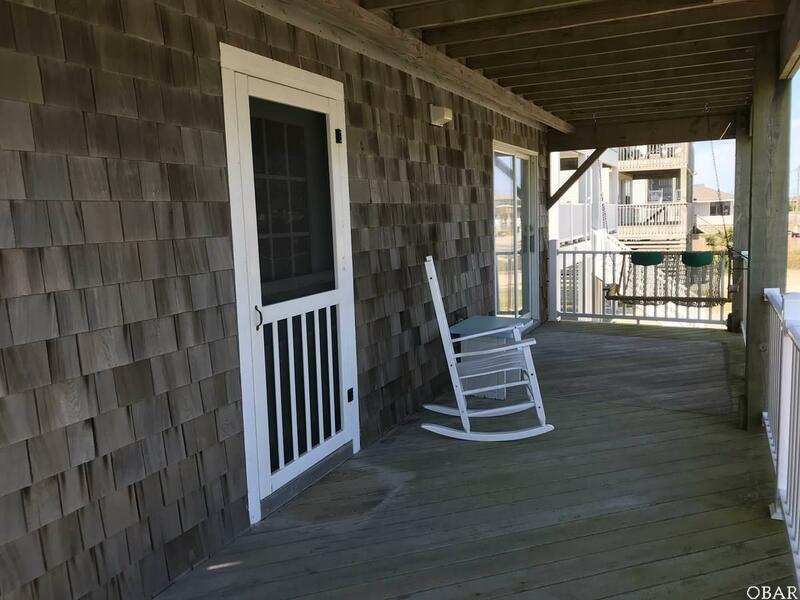 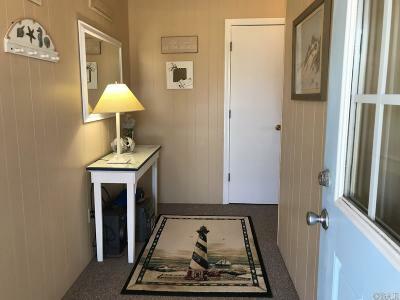 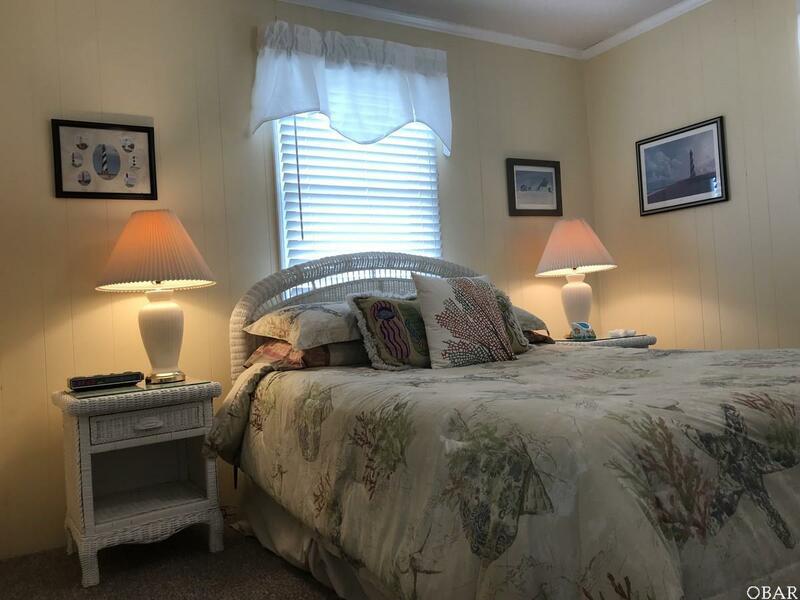 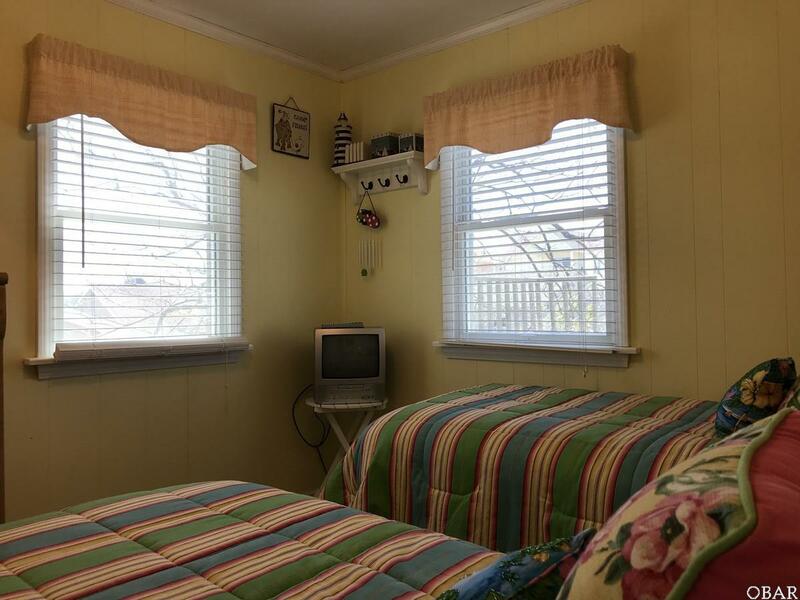 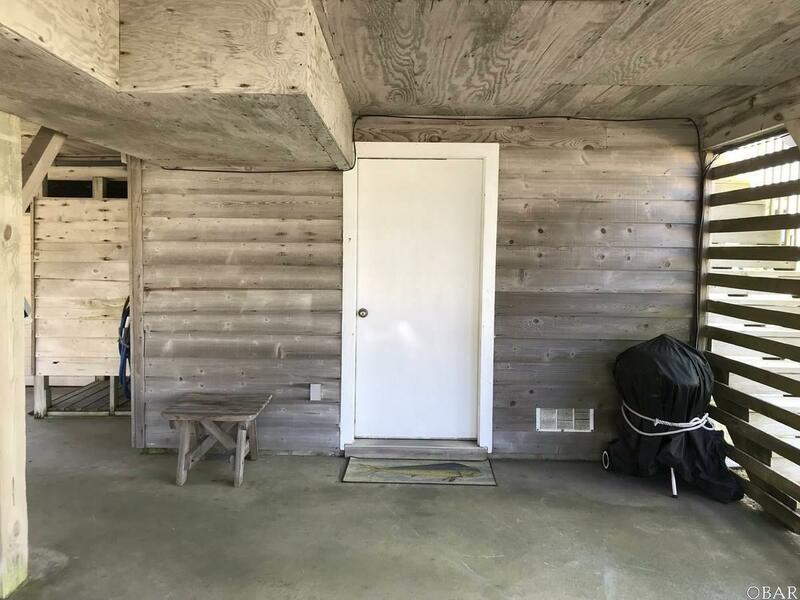 Top Notch Location Is Walking-Distance-Convenient to Beach Accesses, the Nags Head Fishing Pier and Multiple Restaurants with the Nags Head Multi-Use Path Just Across the Street. 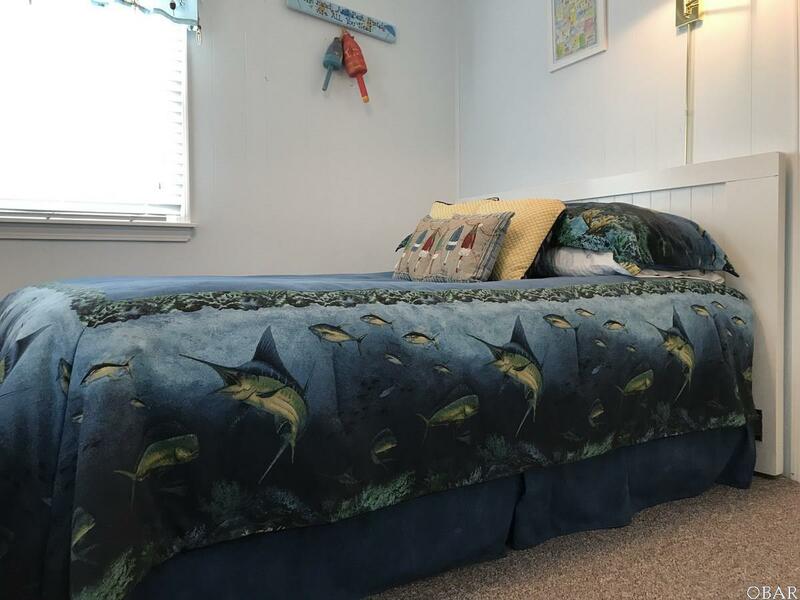 Condition, Furnishings and Decor Reflect the Owners' Careful Caretaking. 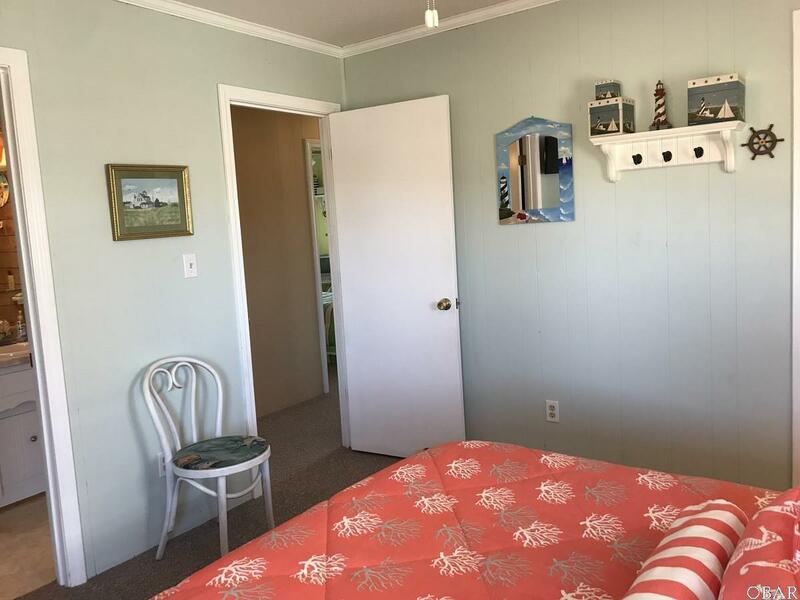 Light and Bright Beach Colors, Crown Molding, Wainscoting...Well Done Throughout. 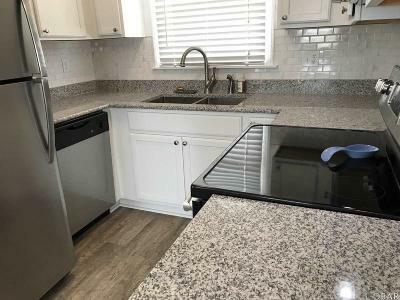 So Many Updates and Upgrades Make for an Effective Age Much Younger than Its Years... New Roof Spring 2019, New Kitchen (Granite Countertops, Subway Tile Backsplash, Cabinetry, Flooring and Most Appliances) and Outside Shower Plumbing 2018, Skylights 2016, Andersen Vinyl Windows and Hurricane Rated Upper Sliding Glass Door 2014, Decks and Railings 2013, Trane HVAC System with 10-Year Warranty 2012, Half Bath and All Commodes 2010. 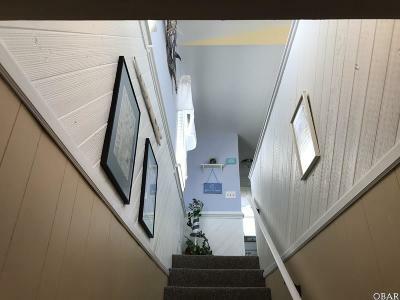 Top Level Open Concept Living, Dining, Kitchen, Master Bedroom and Full Bath, Sun Deck. 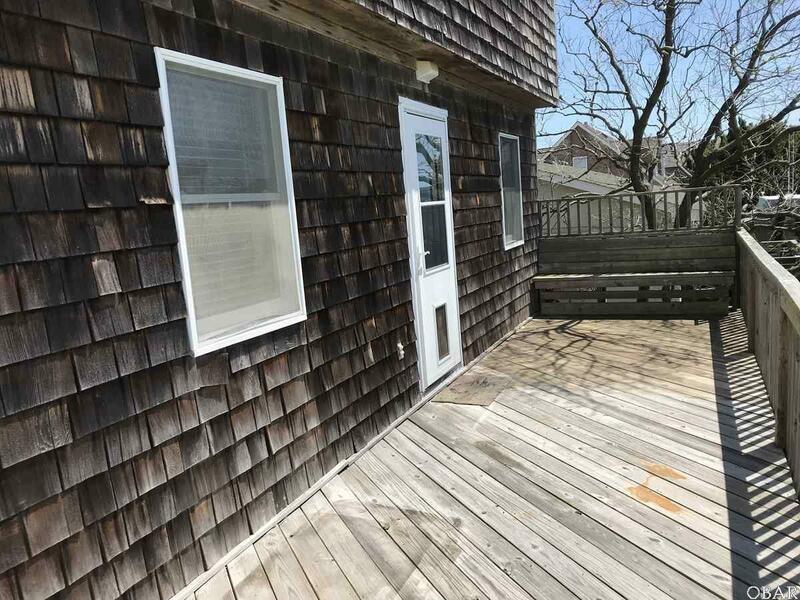 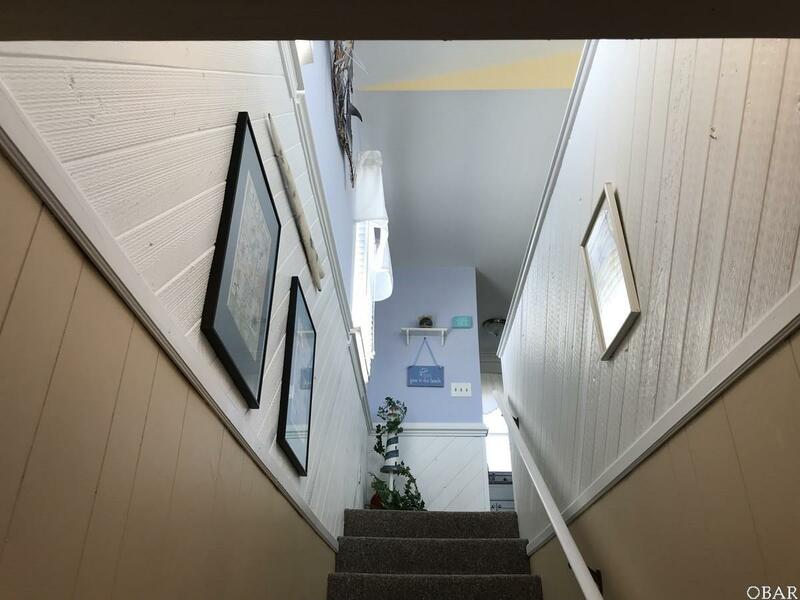 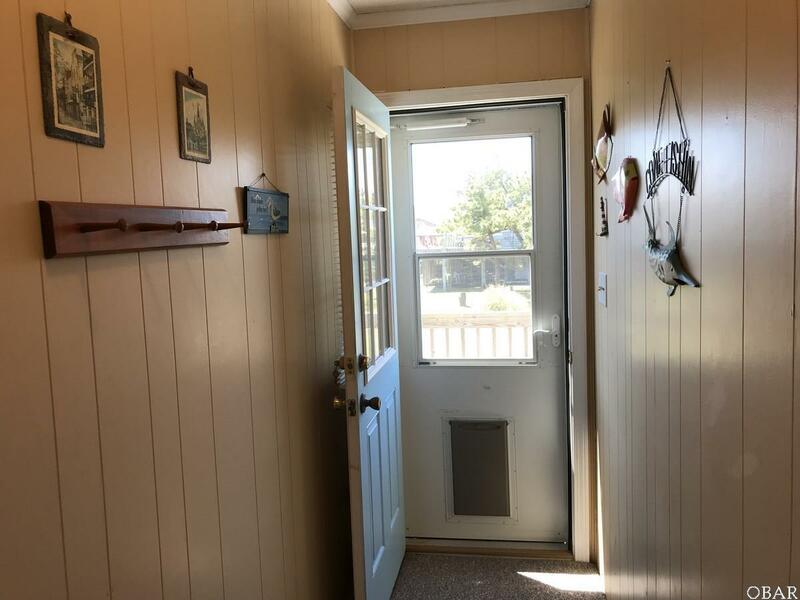 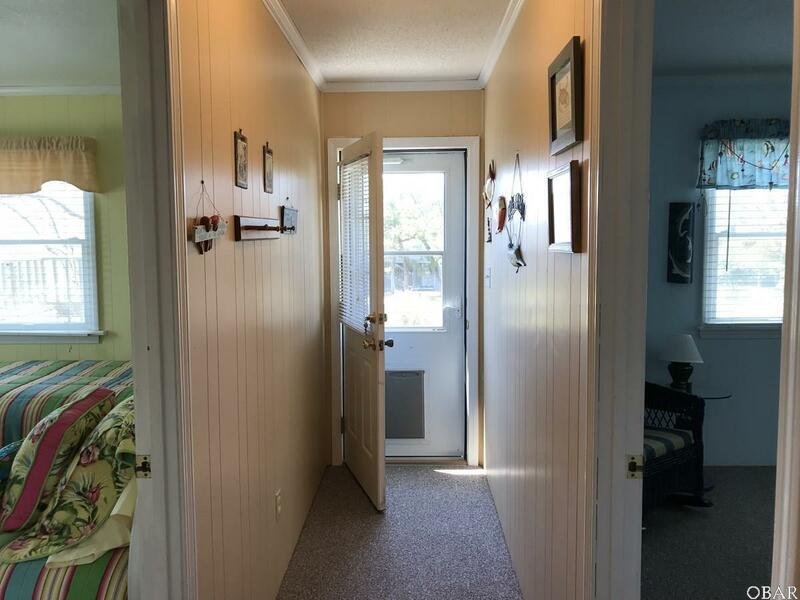 Mid Level Foyer, Three Bedrooms, One Full Bath, One Half Bath, Covered Deck at Front, Sun Deck at Back. 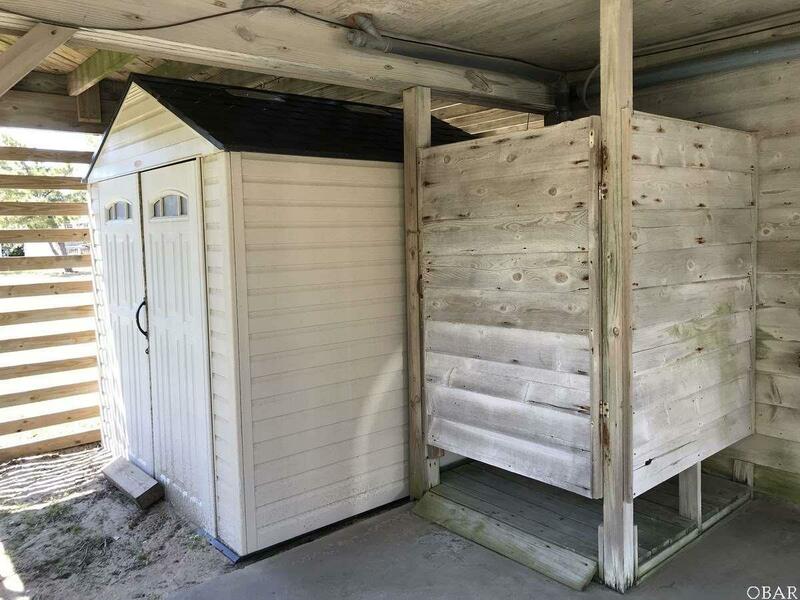 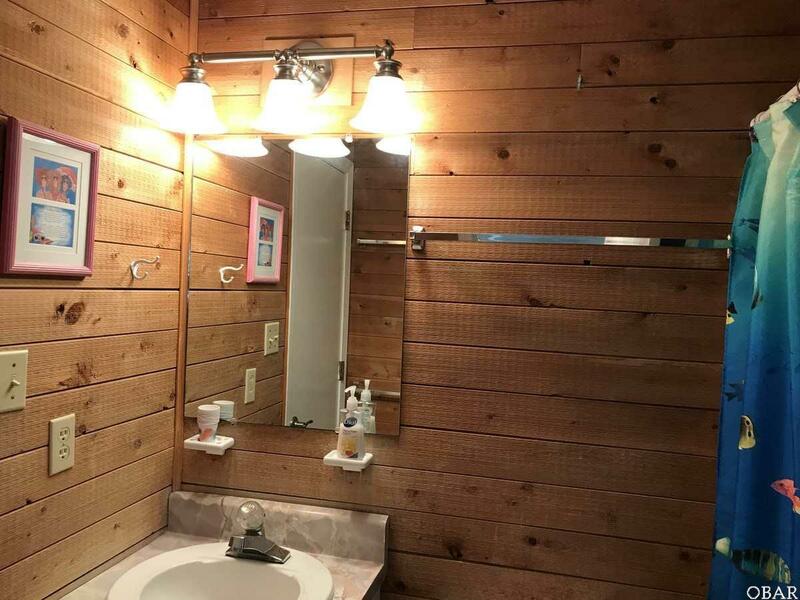 First Level Utility Room, 7x7 Shed for Bikes and Beach Items, Under Deck Lock Up for Kayaks, Paddle Boards and Such.